The ultimate test of a leader is not whether he makes smart decisions and takes effective action in the short term, but whether he teaches others to be leaders and builds an organization that can continue to be healthy and to thrive when he is not around. 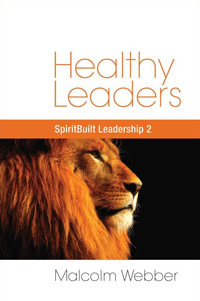 Thus, the key issue of healthy organizations is leadership development. The effective leader is not only a continuous learner himself; he must also be a continuous teacher and builder of others. He must pass along what he has learned to others who will then pass their learning along to others. This is the desire of the truly great leader: to build other leaders who will entirely outdo him! His goal is to raise up leaders who will stand on his shoulders and then raise up more leaders who will stand on their shoulders and so forth. Effective leaders personally invest time and emotional energy in building others. Moreover, they expect all other leaders to do the same. The effective organization is a learning and teaching organization. Its way of life is continuous learning and teaching – at all levels. Leadership building is the central activity of the effective organization. It is hard-wired into everything everyone does. It is everyone’s responsibility to nurture and expect leadership everywhere. This creates leadership multiplication. Thus, building a leadership-building culture is the ultimate act of leadership. The next Leadership Letter will consider structuring an organization for continuous leadership development.